Men, women and children who have been trafficked to Ireland and forced to work in massive cannabis farms are being treated as criminals, not victims. Migrant Rights Centre in Ireland is reviewing 21 court cases involving drugs that are believed to be human trafficking related - not criminal. 75 per cent of people going to prison in Dublin for cultivating massive cannabis farms are from China and Vietnam. Despite claims they had been exploited and maltreated, according to a report — Trafficking for Forced Labour in Cannabis Production, by The Migrant Rights Centre Ireland (MRCI). 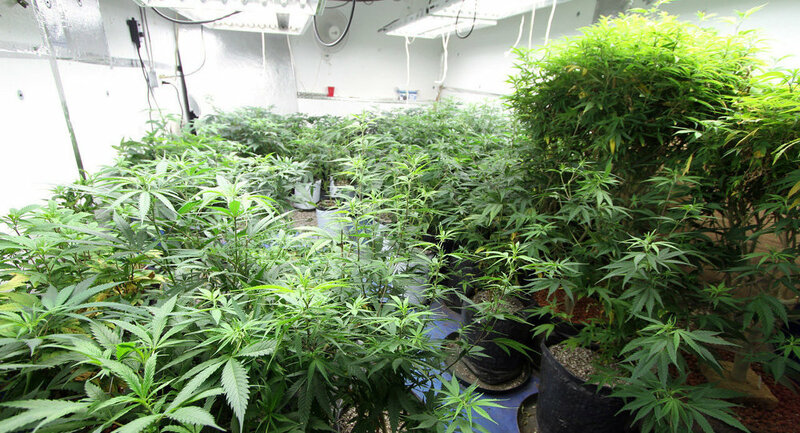 Grainne O'Toole, MRCI's project coordinator told Vice, "the police have been finding people locked into cannabis grow houses in squalor conditions, malnourished, not receiving any money for what they were doing and living under threat. "Even though the police are trained in human trafficking, they still do not identify them as victims". The report says even though many cases of cannabis production are human trafficking and forced labour related, very few have been investigated. Not one has been identified as human trafficking. "As a consequence of this, potential victims are being prosecuted, convicted and imprisoned for crimes they may have been forced to commit — while their traffickers enjoy impunity". The Migrant Rights Centre in Ireland is calling for a non-punishment clause to be included in the Criminal Law (Human Trafficking) Act 2008. This, it believes will make sure trafficked victims aren't prosecuted for crimes they were forced to commit. "It is disturbingly commonplace that trafficking victims are doubly victimised. "First by the traffickers and second by law enforcement officers and the state that have a duty to protect them". "A protocol which the governments of Europe supported less than a year ago, but which they have not yet ratified, nor, it appears, learned from. " Protecting child victims of trafficking and exploitation is at the centre of charity ECPATs campaign, which has been met with recent success. Northern Ireland has become the first country in the UK to introduce a legal guardianship for trafficked and separated children following the Human Trafficking and Exploitation Bill in Northern Ireland being given Royal Assent. "This is a landmark step in the protection of trafficked and separated children in the UK, who have a range of complex needs and require an independent guardian to ensure these are met," says Chloe Setter, Head of Advocacy, Policy & Campaigns at ECPAT UK. The Bill now gives trafficked children who arrive alone in Northern Ireland, an independent legal guardian who is ‘on their side' to help them deal with all the authorities they encounter during their recovery. ECPAT UK has campaigned for the last decade on legal guardianship, which is a requirement in the EU Directive on Trafficking and an obligation of the United Nations Convention on the Rights of the Child. "Northern Ireland is leading the way in its response to trafficked and separated children. "ECPAT UK will continue to push the rest of the UK to fulfil its obligations and replicate these measures in both the Modern Slavery Bill (England and Wales) and the Scottish Human Trafficking Bill to protect these vulnerable children, says Setter. The trafficking and exploitation of men, women and children is not just a problem confined to Ireland, Northern Ireland and indeed Britain. The Global Slavery Index estimates that 36 million people are trapped in some form of modern slavery around the world. And despite it being illegal, the enslavement of human beings persists in 167 countries around the world. Andrew Wallis, chief executive and founder of anti-slavery charity, Unseen says two key issues need to be tackled by the British government in order to prosecute more perpetrators of modern slavery. "First, in regards to legislation there needs to be a statutory right to support for victims. This is best achieved by putting the National Referral Mechanism on a statutory basis. "Second, is the need to change our whole approach to helping victims and commit to a longer term process of helping people from the point of being discovered as a victim, to [their] support, to becoming resilient individuals not at risk of further exploitation". "Better longer-term victim support will have the by-product of more willingness to engage with law enforcement leading to greater prosecutions". The Modern Slavery Bill is currently being debated in Parliament. Britain's Home Secretary Theresa May hopes to pass an anti-slavery bill before the general election in May 2015.